Some weekends I just want to relax and be lazy. In fact, the term relaxation carries till the food I order, where I don’t want to give myself trouble on going through a long menu. There are no such restaurants nearby. 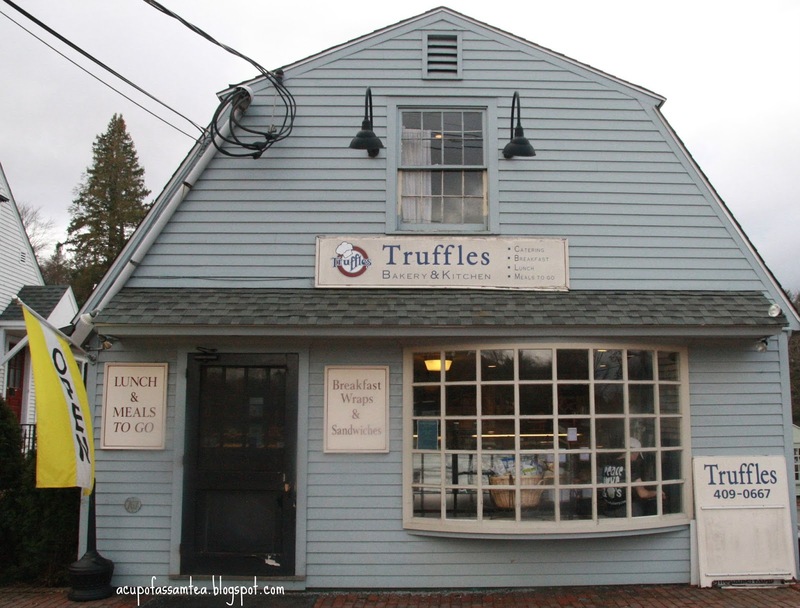 Then my hometown restaurant, Truffles came to the rescue. 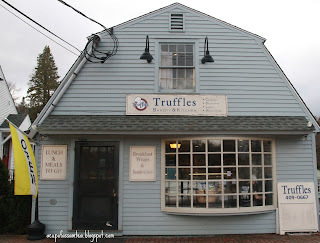 I had the pleasure to enjoy Truffle. 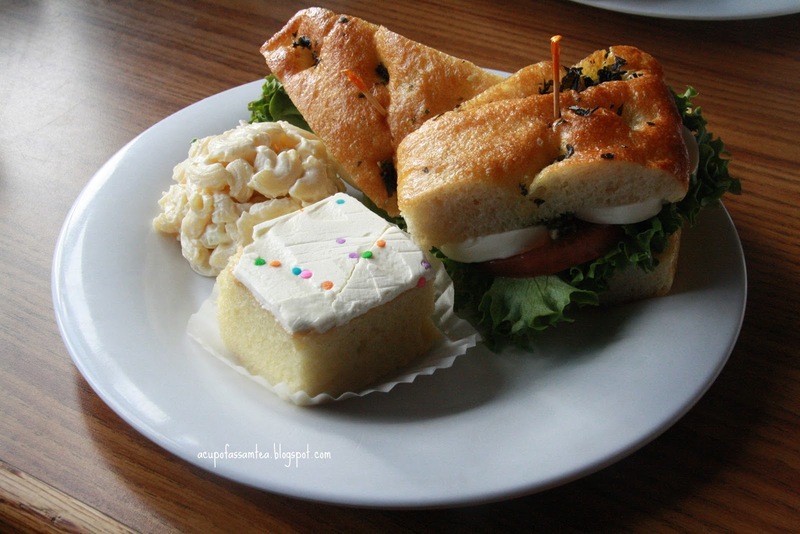 Casual, cute restaurant Truffle with options of vegetarian and glutton free food. Most sandwiches are less than 10 dollars except Lobster Panini. Good for quick, casual lunch bite. We ordered Hummus Wrap (Baby greens, cucumbers, tomato, feta and house-made hummus on spinach wrap) and Focaccia Mozzarella ((Fresh Mozzarella, tomato, green leaf lettuce and basil pesto on grilled herbed focaccia bread.). Both came with pasta on the side and a piece of cake, which was a fun factor for the kids. The food was nothing fancy yet tastes fresh and palatable, makes you choose truffle over any chain restaurant. They have a huge bakery section with cakes to cookies. Truffle has a very reasonable price menu with breakfast options and they use locally produced and organic eggs including grass fed steak burgers. Use of biodegradable is certainly a raving part of Truffle. Truffle is mostly popular for taking out and offers daily special breakfast, brunch, and lunch. They have a tiny seating area with a nice overlooking view upstairs and when the weather is good you have the option to sit outside and enjoy your meal. Truffle is a good experience for lazy weekends with prompt and friendly service with the comfort of home.